A tale of good and evil, of corruption and deceit, of prejudice, politics, and power, this compelling account scrutinizes the immensely lucrative Nevada gambling industry's struggle to maintain legitimacy--or at least the appearance of it. 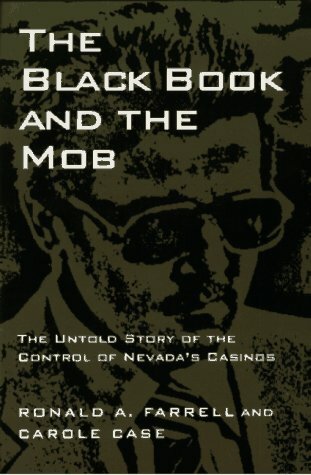 Ronald A. Farrell and Carole Case tell how state regulators created the Black Book in the 1960s, a list of notorious and unsavory persons banned forever from owning, managing, or even entering casinos in the state. The regulators dramatically pursued and publicly denounced former lieutenants of Al Capone, alleged overlords of the American Mafia, nationally known professional gamblers, and major casino owners, as well as small-time bookies and hoods, reputed sports fixers, and gambling cheats. To date, thirty-eight names have been entered in the Black Book, including Sam Giancana, Anthony Spilotro, and Frank Lefty Rosenthal. Farrell and Case contend, however, that the denunciations were a melodrama, meant to show that the government was cleansing the city of corruption. Through the Black Book, the regulators focus public attention on the Mob, rather than on a multitude of competing criminal interests already in the gaming industry. The authors uncover evidence of ethnic discrimination by the regulators, including selective prosecution of Italian Americans whose notoriety fit popular Mafia stereotypes. The Black Book and the Mob records hearings of the regulatory commission and the voices of lawyers, government officials, casino owners, and the people named in the Black Book itself. This Las Vegas story is a rebuke to the gaming industry and a cautionary tale for many states and communities now weighing the legalization of casino gambling.